Email marketing campaigns are an effective tool for healthcare marketers with an objective to build strong relationships with their prospects and customers. Personalized emails with product updates, promotional campaigns and latest industry news when sent targeting specific groups works wonders in spreading your word to a wider audience located anywhere in the world. Especially when the potential target is the pharmacists with the ability to prepare and dispense the medicinal drug, the need for a powerful and responsive email marketing strategy cannot be ignored. Besides an accurate and up-to-date pharmacist email list, as a marketer, you will need to have a robust email strategy ready to make sure that relevant messages reach to right inboxes for attracting reader’s attention and driving them to your website for quality lead generation. 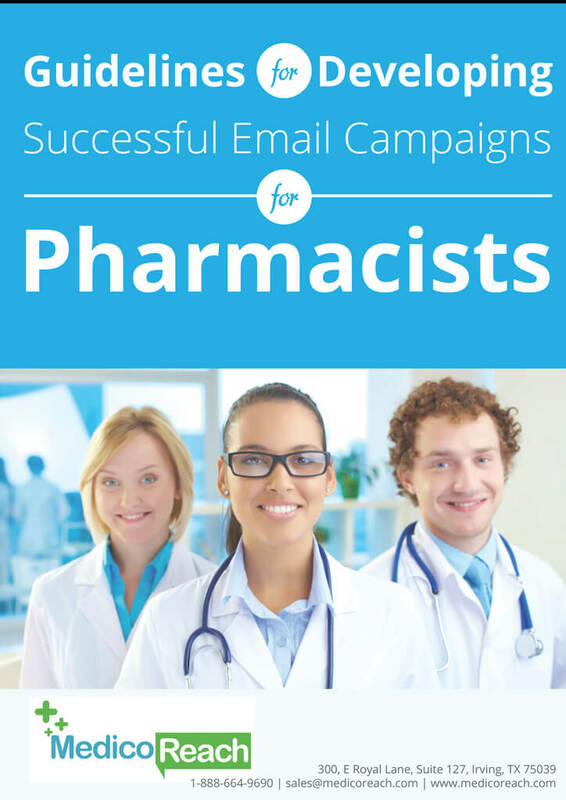 So, download our free guide to acquire valuable knowledge on how you can leverage email marketing to reach out to thousands of pharmacists who are waiting to hear from you.